I discovered an interesting article today in the U.K edition of Wired Magazine. It talks of how researchers are experimenting with giving robots the ability to “sense” when their human owners are upset and to then avoid their angry owners. 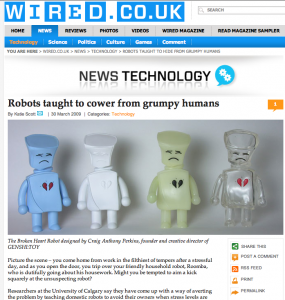 What caught my eye though was that the picture they used for the article was one I took of my Broken Heart Robot toys! 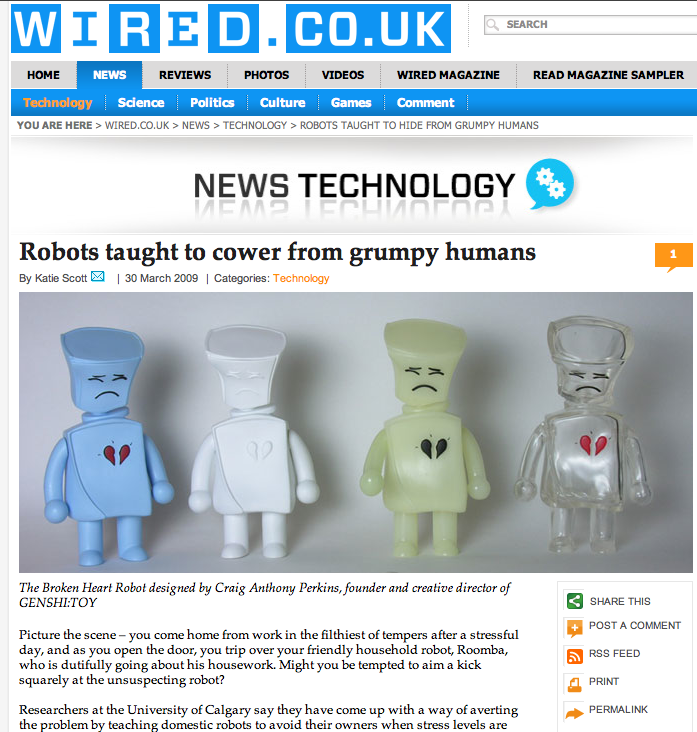 I’m very honored that Wired Magazine chose my Broken Heart Robot as the image (inspiration?) for the story. Coincidentally, I’ve been experimenting with the Arduino platform; thinking about making an actual, autonomous robot… maybe I should program it to fear me as well!